Take a piece of see-through-paper, draw the pattern from the book and cut it out. 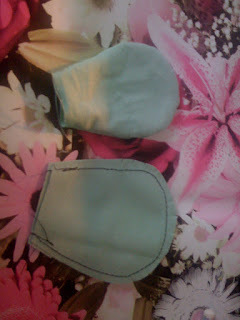 Draw the patterns on the chosen fabrics and cut it out again. 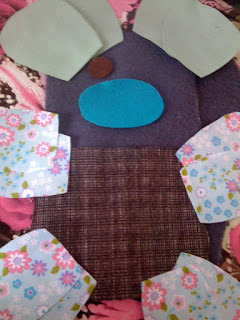 Place the fabrics with the 'good sides' facing each other and sew together. 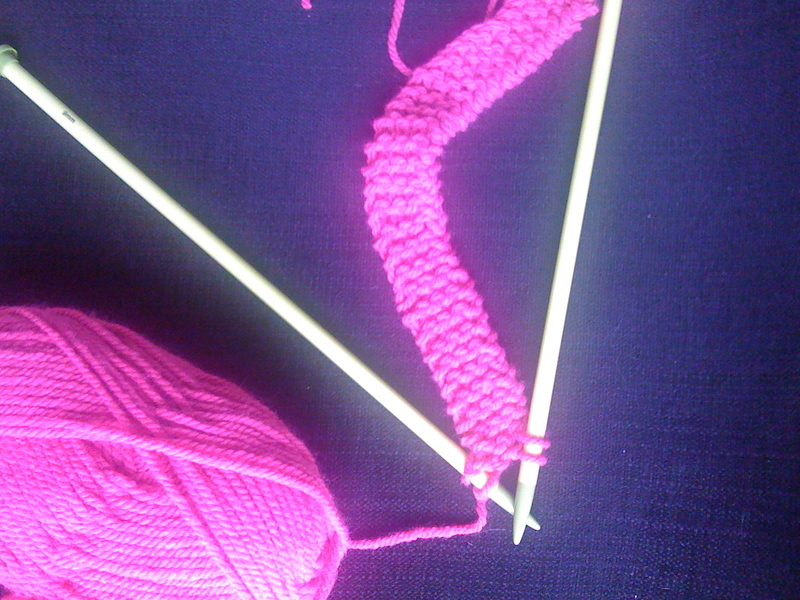 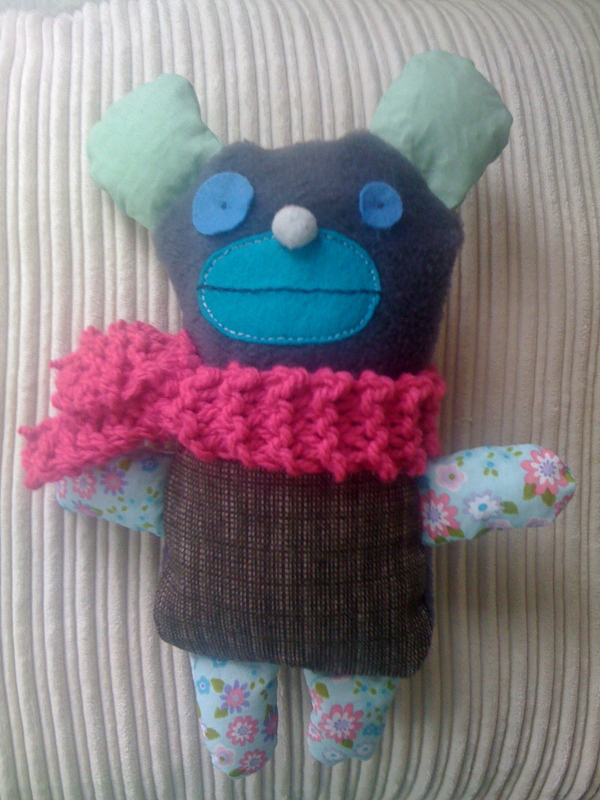 Finish the cuddly toy by making it a personal scarf. Raf the Mouse is made.